Woohoo! I am back ya’ll with the follow-up to yesterday’s post on my 4th of July yummy goodness. And come on, who doesn’t love food especially when it comes to celebrating? I do! I do! 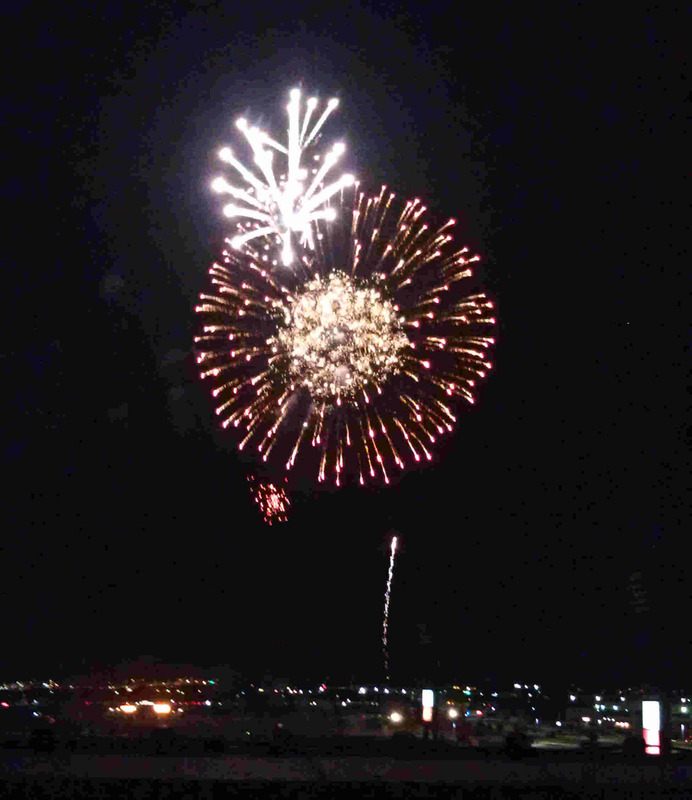 But first, a few pictures of the awesome fireworks display we saw from the top of a two story building. The show took place just north of Dallas’ professional soccer stadium and was amazing. Thanks to our friends who have connects, we were able sit comfortably on the roof while the fireworks went off literally in front of our face. It was fun to watch Emma’s reactions and hear her call them ‘stars’ as they exploded then faded away. You gotta love a one-year-old’s imagination. She was such a trooper though. This was her second go round of seeing fireworks, which means she stayed up late (bad mama! ), and happily stuck it out all the way through. I guess that’s the perks of it getting darker later…or me not wanting to give up our little tradition. It’s hard to pass up those seats! That finale has us hooting and hollering along with the rest of the people. 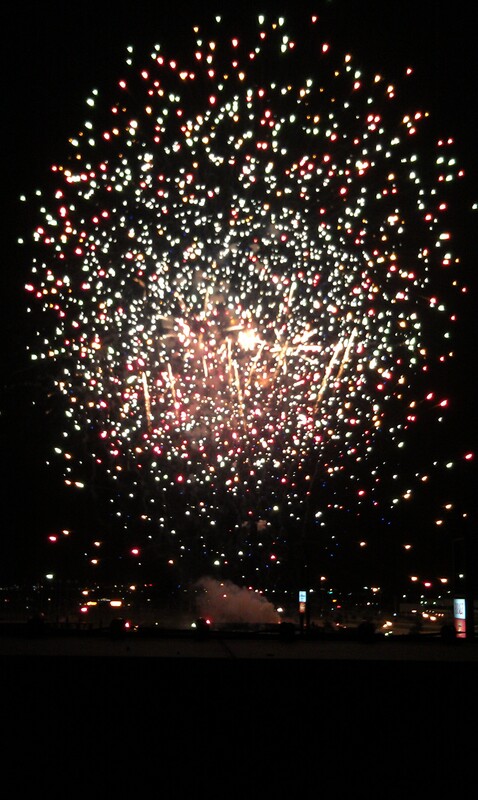 It seems like at any age fireworks can still wow you year after year! I do have to rant for a minute though about the musical accompaniment that went on during the show. I’m not that old and I guess I’m not a young buck either but the music selection was SEVERELY lacking! I get you want to play songs that cater to the pop kids so you play things like Katy Perry’s ‘Fireworks’ and Black Eyed Peas cuz ‘tonight’s gonna be a good night’ but c’mon. I want to hear something patriotic like a little country music or the infamous Lee Greenwood’s ‘God Bless the USA’…it is kind of a big deal day after all. I forced myself not to sing along just because I knew the lyrics and successfully held out until they played ‘We Are Young’ and ‘Call Me Maybe’ after the show was over. Yeah, I know I’m a rebel. But let’s rewind to the morning when I wanted to kick off America’s Independence Day by surprising the hubby with making him my normal, plain breakfast. 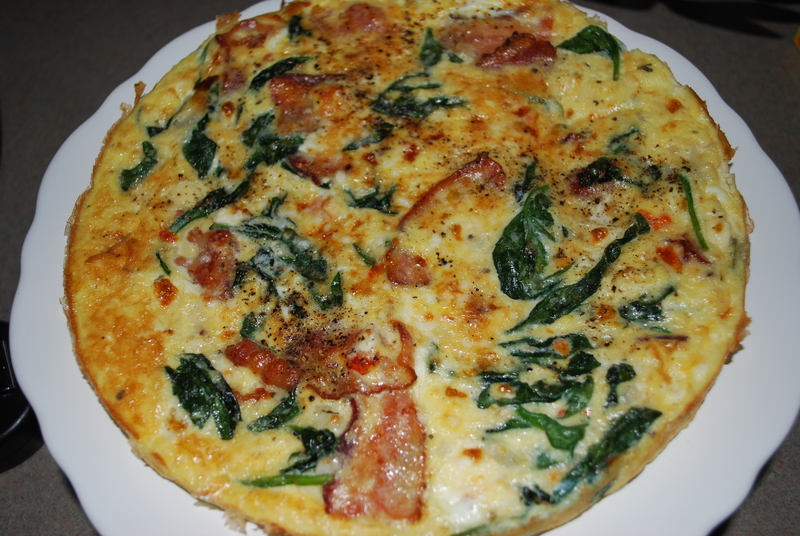 As I pulled out the bacon I recently picked up from our Sprout’s shopping trip, I happened to see a recipe on the back for a Mediterranean Frittata. Say wha?? It sounded yummy and since I had most of the ingredients except the cheese, I thought let’s do this and kick things up a notch! 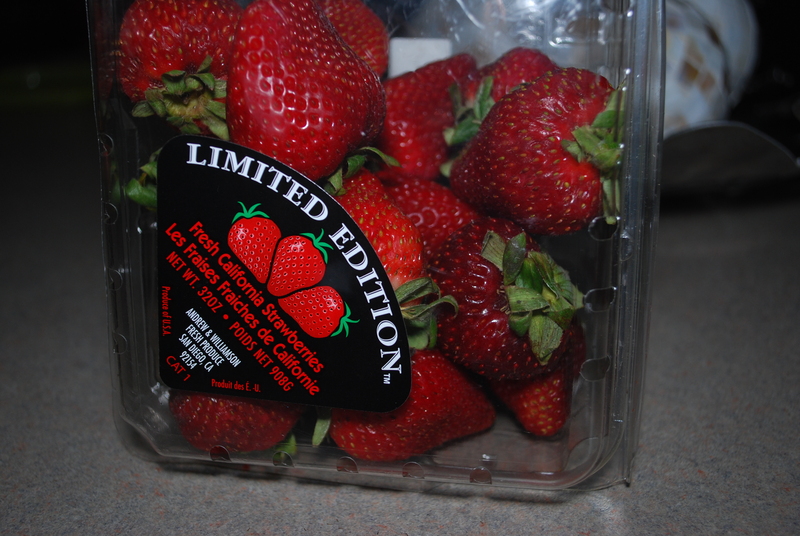 So Emma and I loaded up and headed to Market Street to get some of the best.strawberries.ever, in my opinion, along with some smoked gouda stuffed burgers since I felt like it was my patriotic duty to grill out. When we got home, Josh was still asleep, so I got to cooking this muy delicious ‘pizza’ as Emma called it. 1. Bake brownies according to directions. I also added in some extra chocolate chips (Enjoy Life). Place brownies on cooling rack to cool completely. 2. Whip heavy cream and add 1 TBSP of sugar for every ½ cup. That was a trick my Italian grandmother taught me. 3. Pour whipped cream onto brownies and smooth evenly. 4. 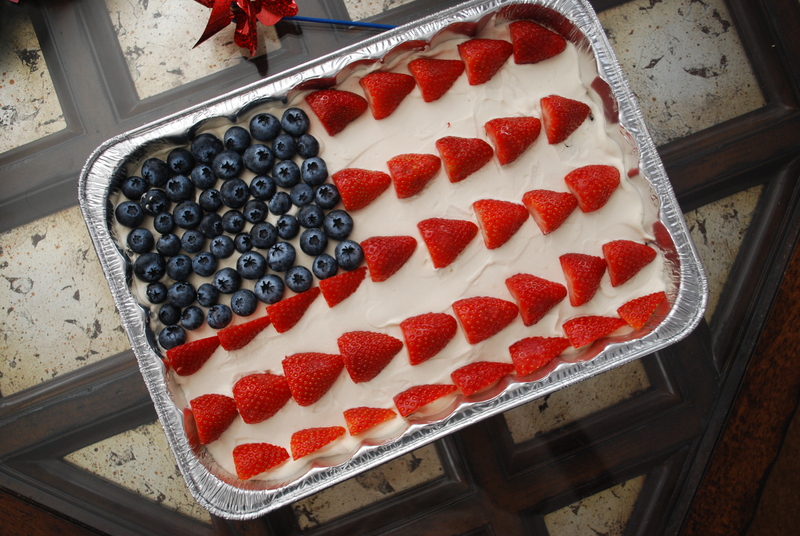 Add berries to create your American flag. 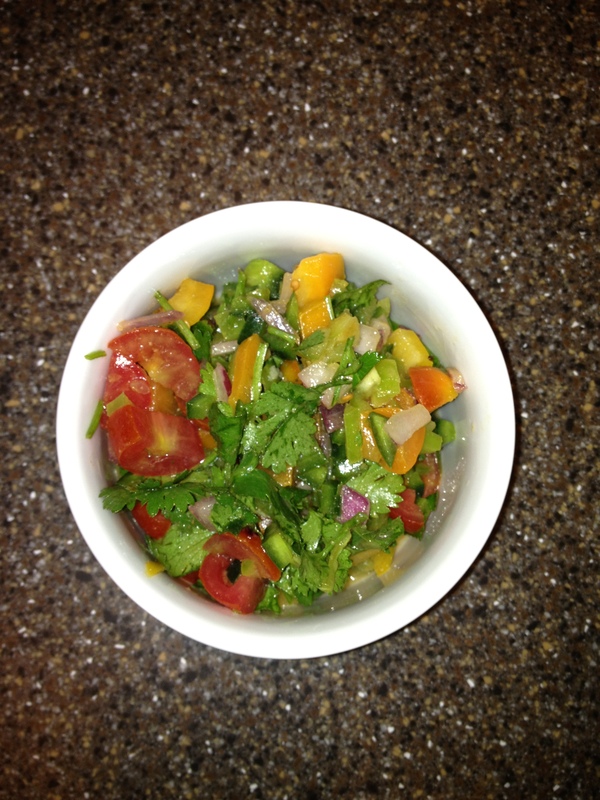 Another fun little recipe that our friend’s wife made was this delicious salsa that isn’t what you’re used to. It’s light and very addictive so beware. 1. Seed and dice up all ingredients and combine in mixing bowl. For an extra kick add some diced jalapeño. 2. Squeeze lime juice all over and mix. Add olive oil to your preference along with salt, pepper, and cumin. 3. Stir ingredients until evenly coated and chill in the fridge. 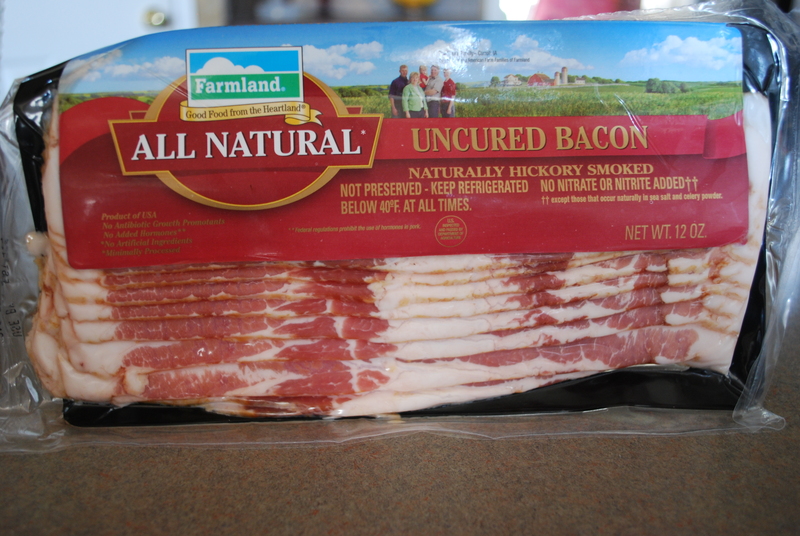 *You can serve this with chips, on top of scrambled eggs, or over fish. It would also be good to use with vegetable medallions if you want to go the paleo route. I hope everyone had a great 4th, and the day off in the middle of the week didn’t mess you up. I’ll take any extra day Emma and I get to spend with Josh, so you won’t hear me complaining. Let me leave you with this little goody that Aunt B introduced me to. 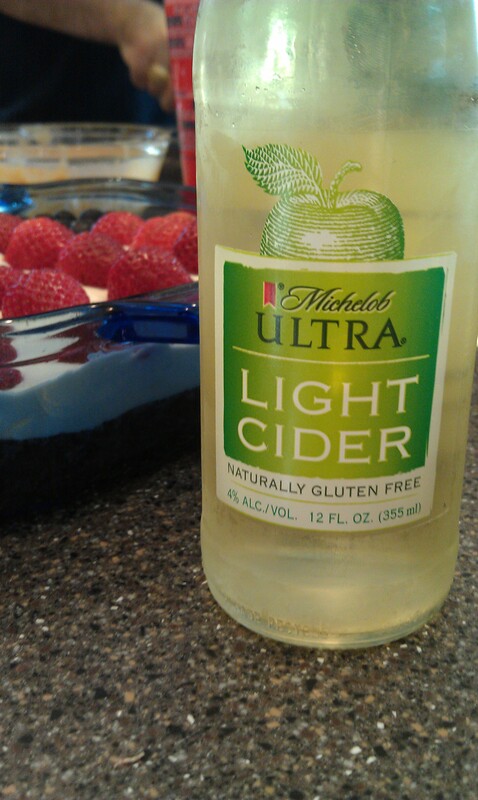 Happy 4th of July to me, gluten-free!